Helping a leading technology company stand out from the crowd. 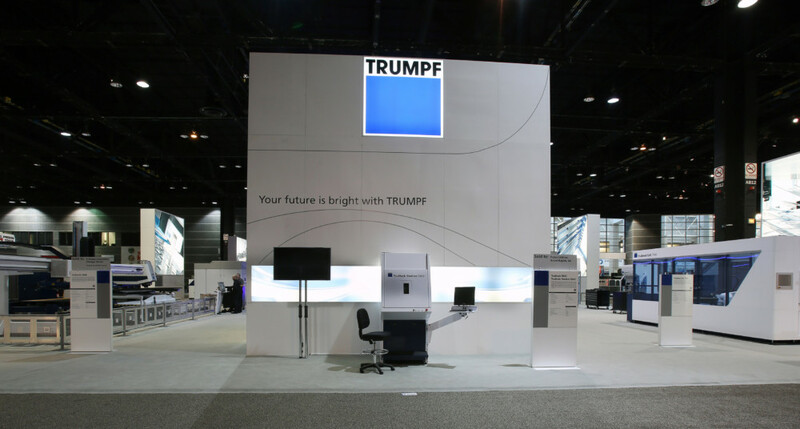 TRUMPF are a leading technology company, providing manufacturing solutions across a variety of fields, ranging from machine tools, laser technology and electronics. The organisation drives the digital networking of the manufacturing industry through consultation and a range of cutting-edge products. 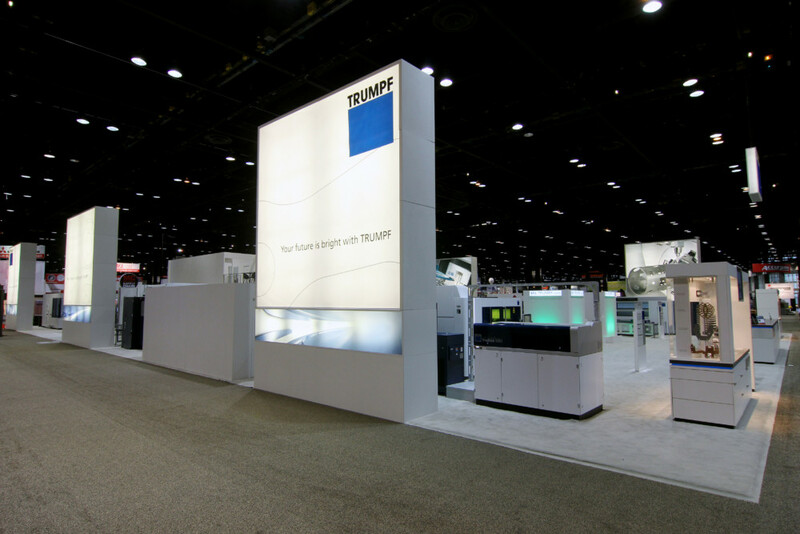 TRUMPF are an independent family business, meaning they have the freedom to push innovation and maintain their position as creative pioneers. 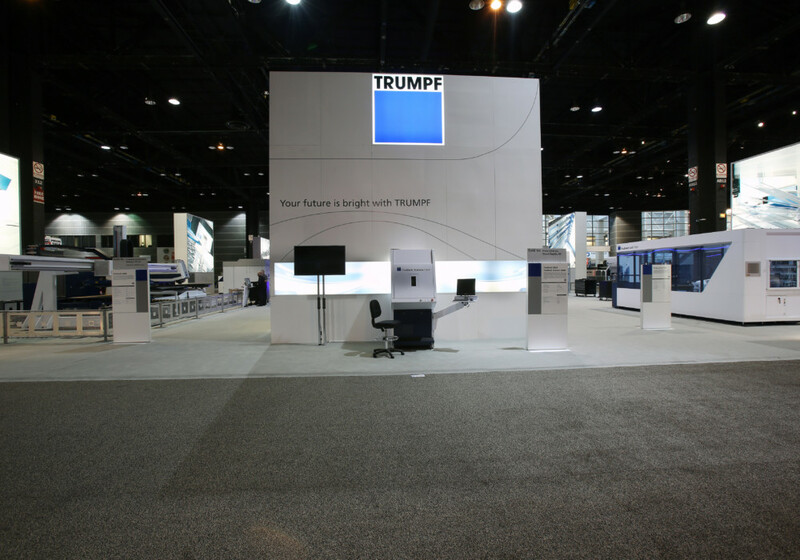 RTH has been successfully managing TRUMPF’s exhibition programme throughout North America for more than 12 years. RTH was tasked with incorporating unique technology on the stand whilst ensuring as many elements as possible could be reused throughout a busy programme. 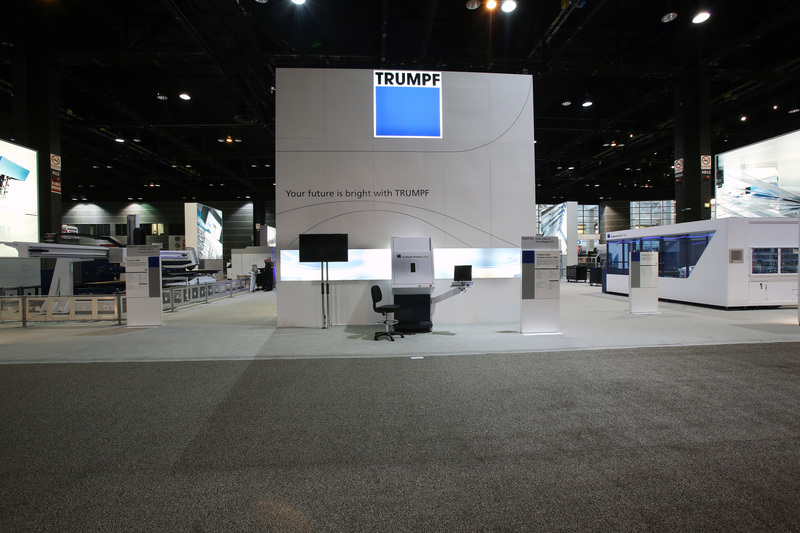 RTH plc were asked to deliver TRUMPF’s largest ever American event, for their 12th consecutive year of exhibiting at FabTech. The event was held in Las Vegas and is an expo for metal working in the USA. 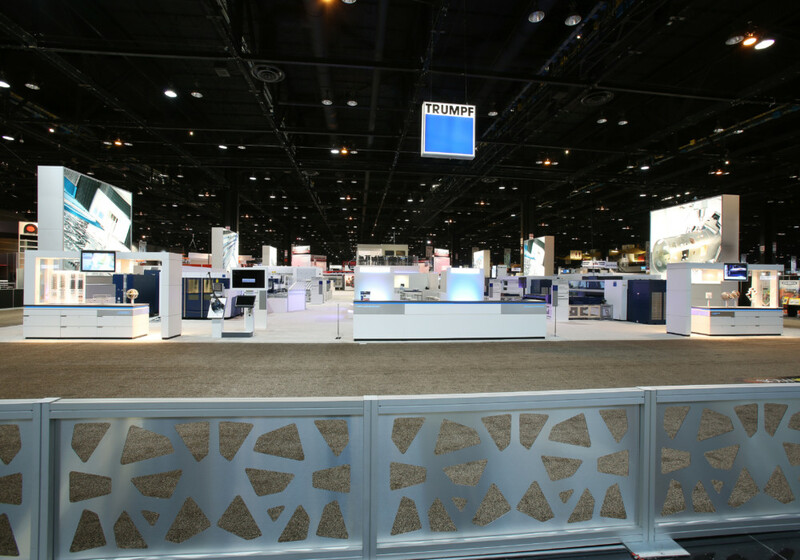 One of the largest of its kind in North America, it allows companies to display and exhibit their products and services in the fields of metalwork and other technology. RTH have a wealth of experience in exhibiting in the USA as well as Europe. With offices in Massachusetts, we can deliver bespoke solutions to showcase products and technologies throughout the country. Exhibiting in the USA is different to doing so in other parts of the world. There are confusing union rules. Jurisdictions can vary from city to city and even venue to venue. But our knowledge and experience means that we can ensure our client’s stands are delivered without hindrance and on budget. The stand requested by TRUMPF needed to incorporate ten fabrication machines whilst providing ample space for 120 staff to conduct formal and informal meetings. The space also needed to be large enough to accommodate hundreds of daily guests mingling. TRUMPF required a stand that was consistent with previous work that had been commissioned from RTH. However, due to the numerous machinery substitutions and space accommodations, an innovative design layout was created to meet TRUMPF’s latest requirements. The adoption of unique 3D projection technology promoted TRUMPF’s latest laser cutting machine. This virtual automation was accomplished via life-size animation. It was positioned in a way that allowed the visitors to view the machine working in full scale. We are adept at incorporating technology like this – other examples include using virtual and augmented reality – into displays. 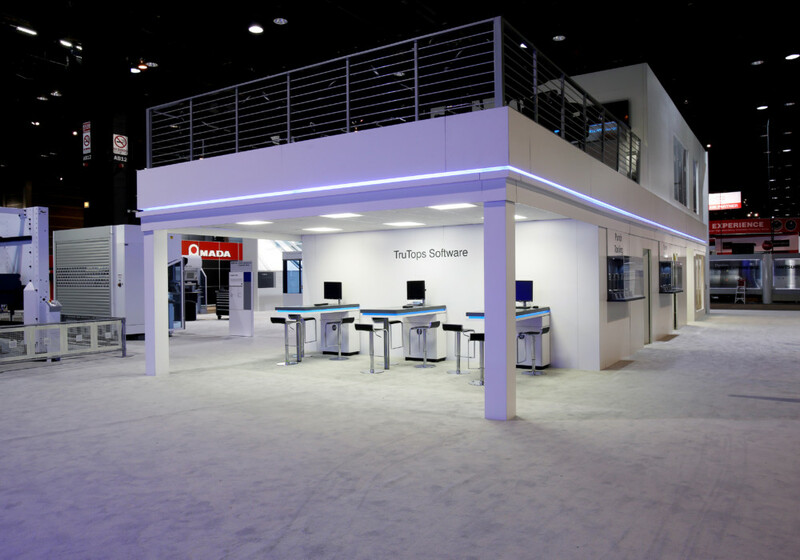 The on-site logistics and installation of 21 trucks’ worth of TRUMPF’s weighty machinery and exhibit components were managed and overseen flawlessly, by a committed and passionate RTH team. Thoughtful design produced a modular, multi-use system featuring durable materials for use at several shows throughout America. 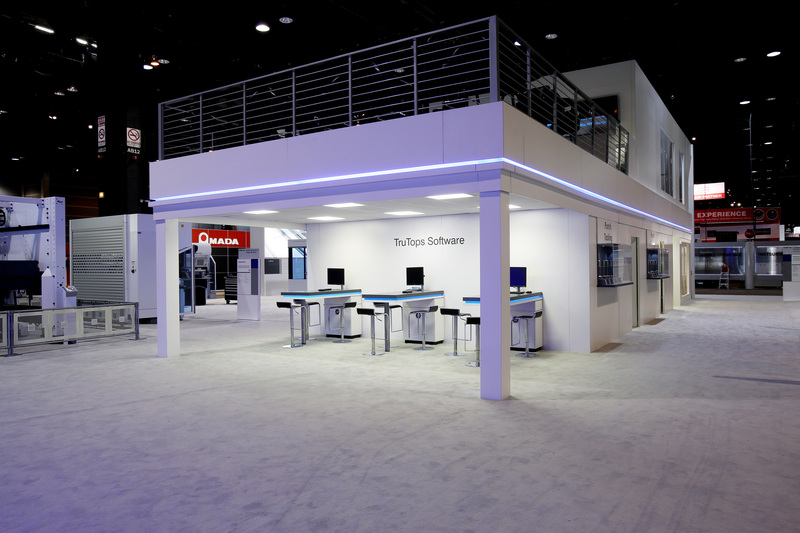 Our skilled team provides pre-show refurbishment and post-show storage, allowing 100% reuse of stand elements and significant cost savings on TRUMPF’s annual programme of events. 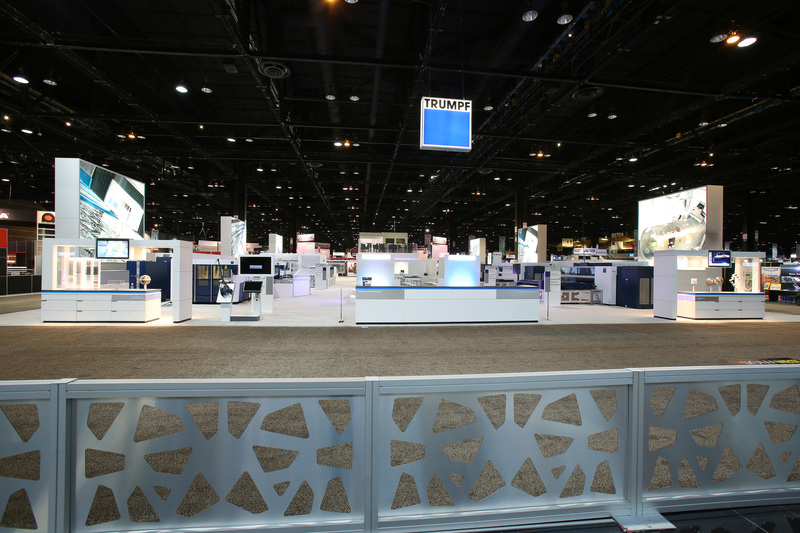 Over 40 riggers, electricians, carpenters, engineers, plumbers and audio-visual specialists collaborated to build the single largest booth at FabTech – and needless to say, it all came within the deadline and within budget.